For the most part Alec had a happy life until the terrible night when he took his younger cousin Georgie on a fishing trip into the Channel. Their boat flipped over and Georgie drowned. Now Alec cannot help feeling the grief and the blame that his friends and family are experiencing. They cannot help holding Alex responsible for what happened; after all he was the one who wanted to go fishing and he was the one who took Georgie into the boat on a night when the weather was bad. Doggedly Alec does his best to do what is asked of him and not to complain. His father's constant criticism is hard to bear and Alex feels very alone. No longer in school, Alec is eager to get a job on a fishing vessel but his father is not enthusiastic. He wants Alec to work at the family inn. Alec manages to get his parents to allow him to take a job on a local ship with the understanding that Alec must still do his chores at the inn. War looms on the horizon but, at first, it does not have much of an impact on the people in Dover. And then the situation in Europe gets much worse. Dover boys begin to volunteer to serve in the military, the town has soldiers coming through, and a special group of young military men come to stay at Alec's family inn. The young men are going on a special mission – a highly secret one. Alec is sure that something big is going on and he is determined to find out what it is. 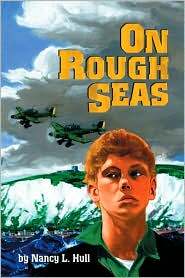 In this absorbing novel readers will not only learn what it was like to live in a coastal town in Britain at the start of World War II, but they will also get to see how war can change people. It can bring out the best, and it can bring out the worst in those who experience it. In addition, the author also explores, with great sympathy and understanding, the problems that a young teenager has with his parents as he struggles to figure out what he wants out of life. This book not only tells a great story but it also serves as a moving tribute to the people who risked everything to save the soldiers who were driven by the German forces onto the beaches of Dunkirk in 1940.